ZURICH/MUNICH (Reuters) - Siemens wants to present a solution for its struggling turbine business by the time the company holds a capital markets day for investors on May 8, two sources told Reuters on Thursday. The sources said discussions between Siemens and possible joint venture partner Mitsubishi Heavy Industries had intensified recently but they said Siemens was also looking at other options for the business where sales and profit have collapsed. Germany's Manager Magazine has reported that Siemens could enter a joint venture with the Japanese company for building large gas and steam generators while keeping the profitable service business. 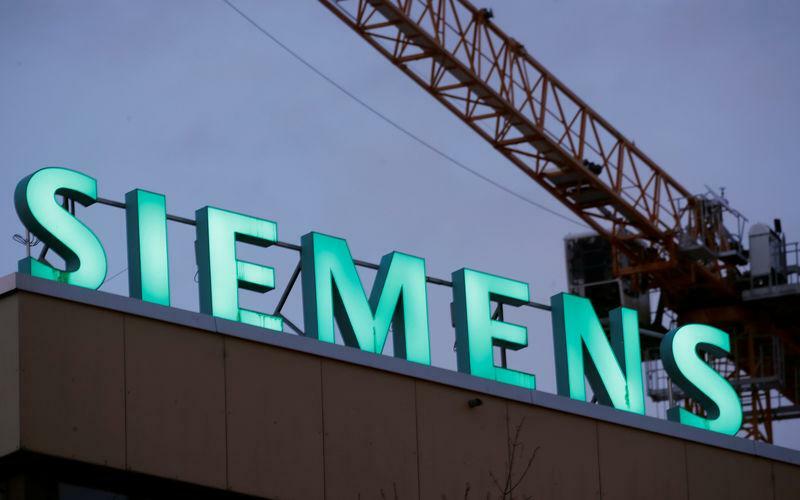 Siemens Chief Executive Joe Kaeser would prefer to have only a minority stake in the venture, so its figures could be deconsolidated from Siemens results, the article also said. Siemens shares were up 2 percent at one stage but later gave up some of these gains. "The situation on the global market for fossil power plant technology remains unchanged. Siemens began tackling these challenges back in early 2015," a company spokesman said. Siemens's Power and Gas business has been a problem for the engineering company. The business reported a 19 percent drop in revenue for the financial year to Sept. 30. Its profit fell to 377 million euros from 1.57 billion euros a year earlier. The problems have also continued this year, with profit halving at the Power and Gas business in the first quarter. The business has suffered from a move away from large gas turbines towards renewable energy sources which has triggered a collapse in demand, while overcapacity in the industry has caused fierce price competition. Siemens has responded by focusing more on servicing the existing turbines it has already built. It is also cutting around 2,900 jobs in Germany as part of restructuring to achieve 500 million euros in cost savings.